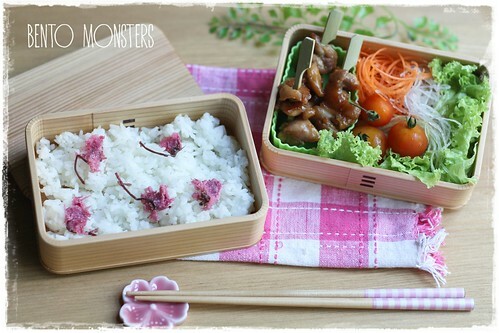 The other food in the bento are chicken yakitori, broccoli and strawberries. 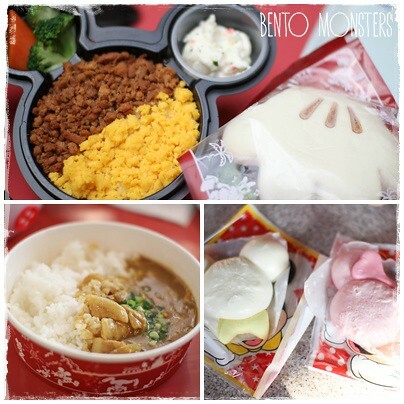 Since the bento is about Mickey sushi, I'm sharing some of the food we had at Disneyland during our trip last December. The boys always ask for mickey soborro rice, mickey glove bun without fail. Fried chicken is sandwiched between the buns. We also tried Mickey and Minnie bun this time, Mickey one is meat bun and Minnie one is filled with cream. We went to the foodcourt at Ikspiari on our last night. 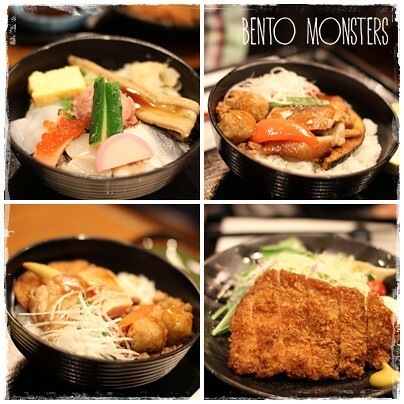 We had dinner there on the day we checked in at Disney hotel, the food there is not too ex and yummy. 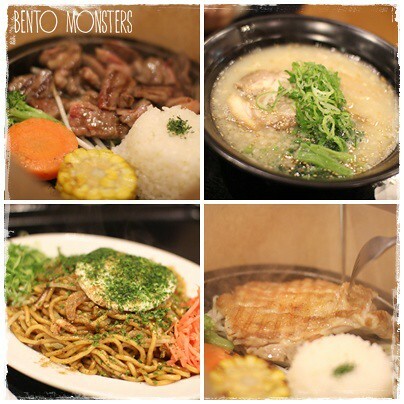 4 sets for each of us again. The boys had no problem finishing off an adult's portion everyday, they even asked for supper every night, lol. Daddy and I shared the beef and yakitori. LT had the chicken and IT ate the ramen. 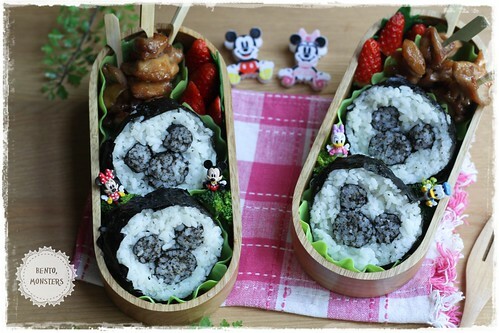 Very cute, the Mickey sushi, and the picks are soooo pretty. Also the sakuras, they give white rice a beautyful hint of color. 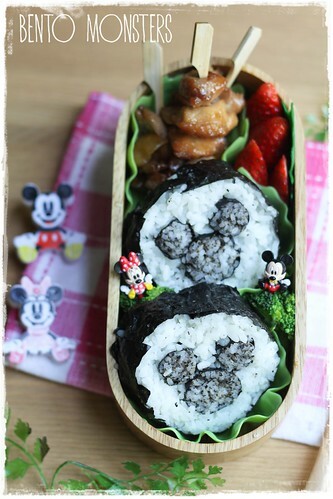 Mickey kazarisushi is very cute :) love the yakitori sticks too, looks so yummy! O....this is such a nice roll! Arghh...mickey minnie picks are so adorable.